f cross-border cases (Chapter 15). One of the most important provisions of the US insolvency regime is the ‘automatic stay’, which is codified in Section 362 of the Bankruptcy Code. The automatic stay is a statutory injunction that applies immediately upon the commencement of a bankruptcy proceeding. Generally, the automatic stay operates to enjoin most creditors from pursuing actions or exercising remedies to recover against a debtor’s property. There are limited exceptions to the automatic stay and it can be modified by a court upon a showing of cause. The automatic stay provides the breathing room necessary for the debtor or trustee to assess and assemble all of the property of the estate without creditors seeking remedies to protect their own self-interests. Accordingly, the automatic stay allows for the preservation of the debtor’s assets and the maximisation of their value and for an equitable distribution of those assets to creditors. One important exception to the automatic stay is that it generally does not apply to contracts that are colloquially referred to as ‘financial contracts’. Specifically, the automatic stay does not apply to certain delineated counterparties’ ability to offset, net, liquidate, terminate or accelerate ‘securities contracts’,9 ‘commodities contracts’,10 ‘forward contracts’,11 ‘repurchase agreements’,12 ‘swap agreements’,13 or ‘master netting agreements’14 with a debtor, provided that the counterparty may be required to exercise its remedies promptly.15 In addition, a debtor may not avoid as a fraudulent transfer a transfer to such a counterparty under one of these contracts unless the transfer is intentionally fraudulent. The goal of US insolvency law is to provide maximum return to creditors (and, if possible, equity holders) of the debtor and, in that context, to reorganise rather than liquidate business debtors to preserve employment and to realise the ‘going concern surplus’ of reorganisation value over liquidation value. This is accomplished by reorganising a debtor corporation under the provisions of Chapter 11 of the Bankruptcy Code. However, if a reorganisation is not possible – or if it would not result in a maximisation of value for creditors – the debtor company can be liquidated either under Chapter 11 or Chapter 7 of the Bankruptcy Code. Chapter 7 transfers the control of the liquidation process from the debtor’s management, who are likely to have greater familiarity with the assets and their value, to a trustee appointed by the United States Trustee20 or elected by the debtor’s creditors. Chapter 7 liquidations usually result in lower recoveries for creditors. Therefore, companies are more likely to be liquidated under Chapter 7 if there are not sufficient funds in the estate or available to the estate to run a Chapter 11 process. As discussed above, the Bankruptcy Code provides for two main types of insolvency proceedings available to businesses with assets in the United States: Chapter 7 and Chapter 11. Chapter 7 is a trustee-controlled liquidation. The goal of Chapter 7 is to ensure the most efficient, expeditious and orderly liquidation of the debtor’s assets to be distributed to the creditors and equity holders. Companies cannot reorganise under Chapter 7. The Chapter 7 liquidation procedure is administered by a Chapter 7 trustee either selected by the United States trustee or by an election conducted by certain creditors. The Chapter 7 trustee is responsible for realising upon all of the property of the estate and coordinating the distribution of such property or proceeds of sales of such property. 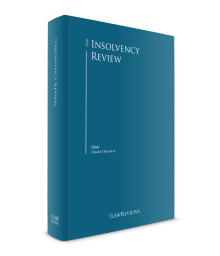 Chapter 11 provides for an insolvency proceeding in which the directors and management of the debtor company remain in control (the DIP) unless a trustee is appointed for cause. Chapter 11 proceedings allow for the reorganisation of the debtor’s operations and capital structure in the hope that the company will emerge from the bankruptcy process as a healthier, reorganised company. Chapter 11 gives the debtor the exclusive right to propose a plan of reorganisation for the first 120 days after commencement of the bankruptcy proceedings, and this date may be extended until 18 months after the order for relief (the petition date of a voluntary case) in the case if the debtor is making progress on a plan of reorganisation and can show cause why the court should extend the exclusivity period.21 The plan of reorganisation provides for how the debtor’s assets will be distributed among the classes of creditors and equity holders. It is also possible for a debtor to liquidate its assets through Chapter 11, which is typically a more structured liquidation than one under Chapter 7. The culmination of a Chapter 11 proceeding is the filing of the plan of reorganisation. The Chapter 11 plan provides how creditors’ claims will be treated by the estate. Under the Chapter 11 plan creditors and shareholders are divided into classes of holders sharing substantially similar claims or interests. Chapter 11 plans must meet certain standards to be confirmed. Even if a plan is accepted by the requisite vote of all impaired classes, it must be found by the court to be in ‘the best interests of creditors’ (providing each dissenting class member with at least what would have been recovered in a liquidation). As to a class that rejects the plan, the plan must satisfy the Bankruptcy Code’s ‘fair and equitable’ requirement (described above). The plan of reorganisation is submitted to a vote of the various creditor and shareholder classes. If at least one class that stands to receive less than their asserted claim (an ‘impaired’ class) votes in support of confirmation, excluding insider yes votes, the plan can be confirmed over the dissent of another impaired class. Dissenting classes can thus be ‘crammed down’ so long as the plan is fair and equitable and does not discriminate among similarly situated creditors. Once the plan is approved by the necessary stakeholders, a court can confirm a plan so long as certain other prerequisites of Section 1129 of the Bankruptcy Code are satisfied. Chapter 15 is the Bankruptcy Code’s codification of the United Nations Commission on International Trade Law (UNCITRAL) Model Law and allows a foreign debtor, through its ‘foreign representative’ to commence an ancillary proceeding in the United States to support its foreign insolvency proceeding. As set forth above, the US Bankruptcy Code provides for different types of insolvency proceedings. Not all of these proceedings are available for all types of companies. Specifically, insurance companies and banking institutions cannot file for Chapter 7 or Chapter 11 bankruptcy; a railroad can be a debtor under Chapter 11 but not Chapter 7, and stockbrokers and commodity brokers can file for bankruptcy under Chapter 7 but not Chapter 11. Regardless of the type of bankruptcy case, under Section 301(a) of the Bankruptcy Code, a debtor voluntarily commences a plenary insolvency proceeding by filing a petition with the bankruptcy court. A bankruptcy proceeding can also be commenced against a debtor company, which is known as an ‘involuntary’ bankruptcy case. An involuntary case is commenced upon the filing of a petition with the bankruptcy court by three or more holders22 of non-contingent, undisputed claims, and such claims aggregate at least US$15,775 more than the value of any lien on property of the debtor securing such claims.23 A bankruptcy court will order relief against the debtor in an involuntary case only if the debtor is generally not paying its debts as they become due, unless such debts are the subject of a bona fide dispute as to liability or amount,24 or if a custodian as described in Section 303(h)(2) of the Bankruptcy Code has been appointed. Under Chapter 7, the insolvency proceeding is controlled by a trustee who is appointed by the United States Trustee or elected by the debtor’s creditors to administer the debtor’s assets. The ‘Chapter 7 trustee’ is responsible for, among other things, ‘collect[ing] and reduc[ing] to money the property of the estate for which such trustee serves, and closes such estate as expeditiously as is compatible with the best interests of parties in interest’.26 Although the Chapter 7 trustee can continue business operations for a short period if value is maximised by doing so, generally, once a Chapter 7 trustee has been appointed, the debtor company is expeditiously liquidated. During a Chapter 7 or Chapter 11 case, the DIP or trustee may take actions that are in the ordinary course of the debtor’s business without approval of the bankruptcy court. Actions after entry of the order for relief outside the ordinary course of business are subject to bankruptcy court approval. Securities broker-dealers are not eligible for relief under Chapter 11. Instead, insolvent broker-dealers may liquidate under Chapter 7 of the Bankruptcy Code,34 but are more likely to be resolved in a proceeding under the Securities Investor Protection Act of 1970 (SIPA).35 SIPA proceedings are liquidation proceedings, and upon commencement of the SIPA proceedings, the broker-dealer will cease to conduct business as a broker-dealer, subject to certain limited exceptions. In SIPA proceedings, a trustee (the SIPA Trustee) will take control of all property, premises, bank accounts, records, systems and other assets of the broker-dealer and displace management. The SIPA Trustee’s primary duties will be to marshal assets, recover and return customer property (including through effectuating bulk account transfers to a solvent broker-dealer) and liquidate the broker-dealer. In SIPA proceedings, the provisions of Chapters 1, 3 and 5 and Subchapters I and II of Chapter 7 of the Bankruptcy Code will also apply, to the extent consistent with SIPA, and the SIPA Trustee will generally be subject to the same duties as a trustee under Chapter 7 of the Bankruptcy Code with certain limited exceptions regarding securities that are property of the customers of the broker-dealer. If the broker-dealer is a registered futures commission merchant under the Commodity Exchange Act of 1936,36 the SIPA Trustee will have additional obligations under the Part 190 regulations37 promulgated by the Commodity Futures Trading Commission, with respect to any commodity customer accounts that have not been transferred to another futures commission merchant prior to the filing date. Additionally, the Dodd–Frank Wall Street Reform and Consumer Protection Act40 established the Orderly Liquidation Authority (OLA), which provides that the FDIC may be appointed as receiver for a top-tier holding company of a failing financial institution that poses a systemic risk to financial stability in the United States. OLA sets forth the procedures that the federal government can take to cause the wind-down of financial institutions that were once considered ‘too big to fail’. Pursuant to OLA, the FDIC can exercise many of the same powers it has as a bank receiver to liquidate systemically risky financial institutions. Moreover, under the Dodd-Frank Act, institutions that may be subject to OLA must provide the FDIC with resolution plans (commonly known as ‘living wills’), to serve as road maps in the event the financial institution requires resolution. The Bankruptcy Code has mechanisms for dealing with the insolvency proceedings of corporate groups and there is no special regime to address these types of filings. If multiple affiliated companies in the same corporate group seek relief under the US Bankruptcy Code, they will file separate bankruptcy petitions but will often seek joint administration of the various bankruptcy proceedings, meaning that the bankruptcy cases of each member of the group will be overseen by the same judge, which provides for greater efficiency in the administration of the cases. Importantly, joint administration does not mean that the assets and liabilities of the group will be combined. Rather, corporate separateness will be observed despite the joint administration of the cases, unless there is cause to breach corporate separateness and ‘substantively consolidate’ the assets and liabilities of the debtor. As part of the 2005 Bankruptcy Abuse and Consumer Protection Act, the United States enacted Chapter 15 of the Bankruptcy Code, which is based on the UNCITRAL Model Law on Cross-Border Insolvency (the Model Law).42 Chapter 15 governs how a US court should treat a foreign insolvency proceeding when no plenary proceedings have been commenced in the United States and provides a mechanism for the cooperation between the US court and the foreign court overseeing a debtor’s plenary insolvency proceeding. Generally, Chapter 15 allows for the commencement of an ancillary proceeding upon recognition of the debtor’s foreign proceeding. Once the foreign proceeding is recognised by the US bankruptcy court, the automatic stay applies to the debtor and the property of the debtor that is within the territorial jurisdiction of the United States43 and the debtor’s foreign representative enjoys certain powers and privileges under the Bankruptcy Code, such as the right to intervene in any court proceeding in the United States in which the foreign debtor is a party, the right to sue and be sued in the United States on the foreign debtor’s behalf, the authority to operate the debtor’s business and the authority to initiate avoidance actions in a case pending under another chapter of the Bankruptcy Code. The original plan of reorganisation submitted by Avaya in April 2017 was not supported by certain large holders of Avaya’s first or second lien debt, some of whom believed that Avaya had not adequately engaged with various restructuring counterproposals submitted to it after the original plan was filed.75 In September 2017, Avaya announced that over two-thirds of its first lien lenders had agreed to a proposal memorialised in its first amended plan support agreement.76 Avaya’s second lien noteholders continue to object to the amended plan based on alleged ‘wildly disparate treatment’ of the three unsecured classes of claims and the breadth of certain releases provided thereunder. As of the date of this publication, the confirmation hearing is scheduled to occur on 15 November 2017. The market forces affecting the broader oil and natural gas industry proved particularly challenging for Bonanza, which competes with a substantial number of companies that have greater resources as well as a number of sources of alternative energy and fuel.79 Despite a series of measures taken to right size the company in light of the worsening macroeconomic environment, Bonanza ultimately sought Chapter 11 protection. The debtors’ restructuring plan was accepted by every voting class, and approved by over 99.2 per cent in amount and 96.1 per cent in number of creditors who voted on it96 and confirmed by the bankruptcy court on 24 July 2017. Pursuant to the plan, Payless’s pre-petition first lien and second lien lenders received 100 per cent of the new equity in reorganised Payless on account of their claims.97 General unsecured classes recovered approximately 18.1 per cent to 22.1 per cent, far more than any amounts such creditors would have received in a liquidation scenario, as contended by Payless.98 Payless emerged from Chapter 11 on 10 August 2017. On 24 March 2017, Ocean Rig UDW Inc, the holding company of the Ocean Rig Group, and three of its subsidiaries (together, the Ocean Rig Debtors) filed winding-up petitions with the Grand Court of the Cayman Islands to commence provisional liquidation proceedings under Part V of the Cayman Islands Companies Law (2016 Revision) (the Cayman Proceedings) and issued summonses for the appointment of joint provisional liquidators (JPLs).115 On 27 March 2017, the Cayman Proceedings were commenced and the JPLs appointed, and the JPLs commenced cases (the Chapter 15 Cases) under Chapter 15 of the Bankruptcy Code in the Bankruptcy Court for the Southern District of New York (the Chapter 15 Court). On 24 August 2017, the Chapter 15 Court granted recognition of the Cayman Proceedings as foreign main proceedings.116 The Chapter 15 Court’s opinion is the latest in a body of case law analysing whether and in what circumstances a debtor may shift or migrate its centre of main interest (COMI) to a jurisdiction where an effective plenary proceeding can be commenced prior to initiating proceedings in such jurisdiction. Until sometime in 2016, each of the Ocean Rig Debtors had its COMI in the Republic of the Marshall Islands.117 In April 2016, Ocean Rig UDW, Inc registered as an exempted company limited by shares under Section 202 of the Cayman Companies Law, and thereafter the Ocean Rig Debtors took various additional steps to shift their COMI to the Cayman Islands.118 The Ocean Rig Debtors took these actions because defaults were anticipated under the Ocean Rig Debtors’ debt documents, and, while the Republic of the Marshall Islands does not have a statute or any procedures that would permit a company to restructure, the Cayman Islands does.119 In other words, the Ocean Rig Debtors engaged in a form of forum shopping in order to locate themselves in a jurisdiction that would not compel them to liquidate. Bankruptcy filings in the United States have increased over the past year, halting a decline since their 2009–2010 peak during the global financial crisis.123 Companies had been buoyed by access to cheap capital because of historically low interest rates, providing relief for companies with highly leveraged balance sheets that likely would have struggled to meet their debt obligations had interests rates begun to rise.124 However, despite the persisting low-interest rate environment, adverse market forces in a number of industries have led to a wave of bankruptcy filings. The sections below highlight recent trends in the energy and retail sectors and also offer some detail on recent decisions and other developments that may be relevant in US bankruptcy practice in the coming years. Despite the continued challenges facing the industry, there is growing optimism that the oil and gas industry is inching closer to a rebound. One of the most formidable obstacles in the way of an industry recovery is the low price of oil, with crude prices around US$48 a barrel. To drill profitably at this rate, oil producers must cut costs. But realising these cost savings could prove challenging, as service companies must raise prices to support taking rigs and hydraulic fracturing equipment out of storage and hiring capable professionals to operate them, driving up the break-even oil price for operators.127 The price of oil, therefore, will continue to play a determinative role in whether the growing optimism yields material improvement, or if the next year brings more of the same for the beleaguered industry. Despite earlier optimism that the challenges facing retail might subside in 2017,130 the industry-wide downturn has only taken a turn for the worse during the first half of the year. More than 300 retailers filed for bankruptcy protection in the first half of 2017, up 31 per cent from the same time last year. It is also estimated that more than 5,300 store closing announcements have been issued to 20 June 2017, compared to 2,056 in 2016, 5,077 in 2015 and 6,163 in 2008, at the height of the recession. These developments have led some commentators to dub 2017 the year of the ‘retail apocalypse’. Although most of the retail filings this year have been for small companies, a number of well known brands have also sought bankruptcy protection, including Gymboree, rue21, and Payless Shoes. A recent trend in bankruptcy settlements over the last several years has been the increasing use of ‘gifting’, a consensual arrangement in which a senior creditor class gives a junior class or equity some of its share of recoveries otherwise due to it under a plan of reorganisation. The rationale underlying this practice, at first glance, seems benign, as sophisticated parties with bargaining power seemingly may opt to transfer their rights to junior parties in exchange for a more swift resolution to the bankruptcy proceedings. However, this analysis becomes more complicated when an intermediate creditor is involved and the priority regime outlined in Section 507 of the Bankruptcy Code is considered. Under Section 507, there is a hierarchy in resolving the claims of various creditors against the assets of the debtor. Viewed in this light, the intermediate creditor can object that junior creditors are receiving distributions before senior claims are paid in full, in violation of the absolute priority rule. An arrangement known as a ‘structured dismissal’ has become an increasingly popular technique for parties seeking to implement a gifting arrangement without running afoul of the absolute priority rule. A structured dismissal is a dismissal of a Chapter 11 case combined with additional provisions in the dismissal order, which often include mutual releases, procedures for claims reconciliation, ‘gifting’ of funds to junior creditors and retention of jurisdiction by the bankruptcy court. Structured dismissals are often employed in situations where the debtors have insufficient unencumbered assets to finance a confirmable Chapter 11 plan (e.g., after a sale of all or substantially all of such debtors’ assets pursuant to Section 363 of the Bankruptcy Code). The Supreme Court’s decision in Czyzewski v. Jevic Holding Corp135 has recently made clear, however, that priority deviations implemented through non-consensual structured dismissals are not permitted. Many large corporate bankruptcies involve the debtor securing post-petition debtor-in-possession financing (a DIP loan). The DIP loan provides the debtor with the cash necessary to continue its operations throughout the bankruptcy and to cover the costs of the bankruptcy. The lender extending a DIP loan to the debtor, often a pre-petition creditor of the debtor interested in protecting its pre-petition position, will place covenants in the DIP loan, setting milestones that the debtor must meet under the terms of the loan. Such milestones can include, among others, deadlines to file disclosure statement and solicit votes on a plan of reorganisation and deadlines to obtain critical relief (e.g., the filing of a motion under Section 1113 of the Bankruptcy Code seeking to modify collective bargaining agreements, deadlines to file sale procedures and sale motions, if applicable, and deadlines to obtain confirmation of a plan). There is an inherent tension in the restrictiveness of these milestones, which can be constraining and onerous for a debtor and the need for financing. On the one hand, debtors need DIP financing, and lenders need assurances as inducement to make these loans to a bankrupt company. On the other hand, strict covenants can tie the hands of debtors and add additional complexity and expense if other creditors contest the plan supported by the DIP lenders. The recent trends in the industry has been towards more DIP lenders insisting on more restrictive milestones in DIP covenants. However, striking the right balance on the restrictiveness of milestones in DIP loans is still an open question. For instance, in response to the trend towards more restrictive covenants, the ABI Commission to Study the Reform of Chapter 11 has recommended adding to the bankruptcy code that no milestones can require actions within 60 days of the petition date. It will be interesting to see if that proposal or others gain traction and where the market settles on this issue. 1 Donald S Bernstein and Timothy Graulich are partners and Christopher S Robertson is an associate at Davis Polk & Wardwell LLP. 2 US Constitution, Article I, § 8. 3 11 U.S.C. §§ 101–1532 (2012). 4 Pub. L. No. 95-598 (1978). 5 Pub. L. No. 109-8 (2005). 6 As discussed in Section V, there is a proposal currently under consideration in Congress to add a new chapter or subchapter to the Bankruptcy Code tailored to resolving systemically important financial institutions. 7 Individuals can also seek relief under Chapters 7 and 11 of the Bankruptcy Code. 8 A trustee can be appointed in Chapter 11 for cause. 11 U.S.C. § 1104(a)(1). 9 11 U.S.C. § 555. 10 11 U.S.C. § 556. 12 11 U.S.C. § 559. 13 11 U.S.C. § 560. 14 11 U.S.C. § 561. 15 See In re Lehman Brothers Holdings Inc, Case No. 08-13555 (JMP) (Bankr. S.D.N.Y. 15 September 2009). 16 A plan of reorganisation is approved by a class when a majority in number of the class members vote in favour of it and the class members who voted in favour hold at least two thirds of the total value of the claims in that class. 11 U.S.C. § 1126. 17 11 U.S.C. § 547. 18 11 U.S.C. §§ 544(b), 548. Under Section 548, the trustee can avoid a fraudulent transfer of an interest of the debtor in property that took place within two years before the date of the filing of the petition. Under Section 544(b), a trustee can avoid a transfer of an interest of the debtor in property under applicable state law, which can extend the look-back period beyond two years. However, a debtor might not be able to avoid and recover subsequent transfers of property received abroad by a foreign transferee from a foreign transferor. See Securities Investor Protection Corp v. Bernard L Madoff Inv Sec LLC, Case No. 12-00115 (S.D.N.Y. 7 July 2014). 19 11 U.S.C. § 552(a). 20 The United States Trustee Program is a component of the Department of Justice that seeks to promote the efficiency and protect the integrity of the federal bankruptcy system. The Program monitors the conduct of parties in interest in bankruptcy cases, oversees related administrative functions and acts to ensure compliance with applicable laws and procedures. It also identifies and helps investigate bankruptcy fraud and abuse in coordination with various law enforcement agencies. The United States trustee is distinct from the trustee appointed to administer Chapter 7 and certain Chapter 11 cases. 21 11 U.S.C. §§ 1121(b), (d)(2)(A). 22 Only a single holder is necessary to commence an involuntary case if there are fewer than 12 overall holders of claims against the debtor. 23 11 U.S.C. §§ 303(b)(1), (2). 24 11 U.S.C. § 303(h)(1). 25 11 U.S.C. §§ 1504, 1515. 27 The Supreme Court has observed that ‘the willingness of courts to leave debtors in possession “is premised upon an assurance that the officers and managing employees can be depended upon to carry out the fiduciary responsibilities of a trustee” ’. Commodity Futures Trading Comm’n v. Weintraub, 471 US 343, 355 (1985), citing Wolf v. Weinstein, 372 US 633, 651 (1963). Officers and directors may therefore owe fiduciary duties to the estate even if their fiduciary duties to the company were limited under state law prior to the bankruptcy. In re Houston Regional Sports Network, LP, Case No. 13-35998 (Bankr. S.D. Tex. 12 February 2014). 28 ‘Even when [a] company is insolvent the board may pursue, in good faith, strategies to maximise the value of the firm.’ Trenwick America Litig Trust v. Ernst & Young, 906 A.2d 168, 175 (Del. Ch. 2006), aff’d, 931 A.2d 438 (Del. 2007). 29 Marshall S Huebner and Darren S Klein, ‘The Fiduciary Duties of Directors of Troubled Companies’, American Bankruptcy Institute Journal, Vol. XXXIV, No. 2 (February 2015). 30 11 U.S.C. § 1104. 31 The 1st, 6th, 8th, 9th, and 10th Circuits have established Bankruptcy Appellate Panels (BAPs), which are panels composed of three bankruptcy judges that are authorised to hear appeals of bankruptcy court decisions. These panels are units of the federal courts of appeals. BAP judges continue to serve as active bankruptcy judges in addition to fulfilling their BAP duties. If a BAP has been established in a given circuit, the BAP will hear an appeal of a bankruptcy court decision unless a party to the appeal elects to have it heard by the district court. Decisions of the BAP may be appealed to the appropriate circuit court of appeals. United States Courts, Bankruptcy Appellate Panels, available at www.uscourts.gov/FederalCourts/UnderstandingtheFederalCourts/CourtofAppeals/BankruptcyAppellatePanels.aspx. 32 See Stern v. Marshall, 546 U.S. 462 (2011) (holding that the bankruptcy court lacked constitutional authority to enter a final judgment on a debtor’s tortious interference counterclaim even though the counterclaim was a ‘core proceeding’ under 28 U.S.C. § 157(b)(2)), Exec. Benefits Ins. Agency v. Arkison, 134 S. Ct. 2165 (2014) (providing that, when a ‘Stern claim’ is encountered, the bankruptcy court may issue proposed findings of facts and conclusions of law to be reviewed de novo by the district court), Wellness Int’l Network, Ltd v. Sharif, 135 S. Ct. 1932 (2015) (holding that bankruptcy judges may enter final judgment on claims that seek only to add to the bankruptcy estate and would exist outside of bankruptcy proceedings if the parties knowingly and voluntarily consent). 33 Fed. R. Bankr. P. 9019. 34 11 U.S.C. §§ 741–753. 35 Pub. L. No. 91-598 (1970), codified at 15 U.S.C. §§ 78aaa et seq. 36 Pub. L. No. 74-675 (1936), codified at 7 U.S.C § 1 et seq. 37 17 C.F.R. Part 190. 38 Pub. L. No. 81-797 (1950). 39 Federal Deposit Insurance Company, ‘Overview: The Resolution Handbook at a Glance’, available at www.fdic.gov/about/Freedom/drr_handbook.pdf#page=10. 40 Pub. L. 111-203 (2010). 41 11 U.S.C. § 1011. 42 ‘United Nations Commission on International Trade Law (UNCITRAL): UNCITRAL Model Law on Cross-Border Insolvency with Guide to Enactment’, 30 May 1997, available at www.uncitral.org/pdf/english/texts/insolven/insolvency-e.pdf. 43 11 U.S.C. § 1520. 44 In re TMT Procurement Corp., No. 13-33763 (MI) (Bankr. S.D. Tex. 20 June 2013). There are limits to a foreign-based company’s ability to seek Chapter 11 protection. See In re Yukos Oil Co, 321 B.R. 396,410-411 (Bankr. S.D. Tex. 2005) (bankruptcy court declines to exercise jurisdiction over Chapter 11 case of a Russian oil company seeking to use the automatic stay to prevent a foreclosure sale by the Russian government). 46 United States Department of Labor, Bureau of Labor Statistics, Labor Force Statistics from the Current Population Survey, available at http://data.bls.gov/timeseries/LNS14000000. 47 Federal Reserve Board, New Securities Issues, US Corporations, available at www.federalreserve.gov/econresdata/releases/corpsecure/current.htm. 50 United States Department of Treasury, Daily Yield Curve Rates, available at https://www.treasury.gov/resource-center/data-chart-center/interest-rates/Pages/TextView.aspx?data=yieldYear&year=2016. 51 David Harrison, ‘Fed’s Janet Yellen Era of Stimulative Monetary Policy is Ending’, The Wall Street Journal (11 April 2017), available at https://www.wsj.com/articles/federal-reserve-chairwoman-janet-yellen-sees-monetary-policy-shifting-1491865770. 52 Corrie Driebusch, ‘IPO Market Comes to a Standstill’, The Wall Street Journal (30 January, 2016) available at https://www.wsj.com/articles/ipo-market-comes-to-a-standstill-1454178166. 53 Thomson Reuters, Global Equity Capital Markets Review: Full Year 2016 (last accessed 18 July 2017), available at http://share.thomsonreuters.com/general/PR/ECM_4Q_2016_E.pdf. 54 Thomson Reuters, Global Equity Capital Markets Review: Full Year 2015 (last accessed 18 July 2017), available at http://dmi.thomsonreuters.com/Content/Files/4Q2015_Global_Equity_Capital_Markets_Review.pdf. 56 Thomson Reuters, Global Equity Capital Markets Review: Full Year 2014 (last accessed 18 July 2017), available at http://dmi.thomsonreuters.com/Content/Files/4Q2014_Global_Equity_Capital_Markets_Review.pdf. 57 Thomson Reuters, Global Equity Capital Markets Review: Full Year 2013 (last accessed 18 July 2017), available at http://dmi.thomsonreuters.com/Content/Files/Q2013_Thomson_Reuters_Equity_Capital_Markets_Review.pdf. 61 Moody’s Investor Services Announcement: Global speculative-grade default rate continues to rise (8 March 2016), available at https://www.moodys.com/research/Moodys-Global-speculative-grade-default-rate-continues-to-rise--PR_345304. 64 United States Courts, US Bankruptcy Courts – Business and Nonbusiness Cases Commenced, by Chapter of the Bankruptcy Code, During the 12-Month Period Ending 30 June 2010, available at www.uscourts.gov/uscourts/Statistics/BankruptcyStatistics/BankruptcyFilings/2010/0610_f2.pdf. 65 PRWeb, Bankruptcy Data Releases its Q4 2016 Report of Business Bankruptcy Filings (23 January 2017), available at www.prweb.com/releases/2017/01/prweb14001978.htm. 66 New Generation Research, Inc., 2016 Corporate Bankruptcy Recap at 5, available at http://bankruptcydata.com/public/assets/uploads/pdf/PR_011217.pdf. 67 The Turnaround Letter, Largest Bankruptcies of 2016, available at www.turnaroundletter.com/largest-bankruptcies-this-year. 69 The Turnaround Letter, Largest Bankruptcies of 2017, available at www.turnaroundletter.com/largest-bankruptcies-this-year. 70 United States Courts, US Bankruptcy Courts – Business and Nonbusiness Cases Commenced, by Chapter of the Bankruptcy Code, During the 12-Month Period Ending 31 March 2017. 71 United States Courts, US Bankruptcy Courts – Business and Nonbusiness Cases Commenced, by Chapter of the Bankruptcy Code, During the 12-Month Period Ending 30 June 2016. 72 First Day Declaration of Eric Koza, Case No. 17-10089 at 2, ECF No. 22 (Bankr. S.D.N.Y 19 January 2017). 73 The pre-petition cash flow credit facility also provides for a revolving line of credit; as of the petition date, no revolving borrowings were outstanding thereunder. 74 First Day Declaration of Eric Koza, Case No. 17-10089 at 18, ECF No. 22 (Bankr. S.D.N.Y 19 January 2017). 75 ‘Avaya 1st Lien Group Blasts Debtors’ “Catering” to PBGC, Equity Sponsors; Presses for 30-Day Exclusivity Extension for Company to Become “Honest Broker”’, Reorg Research (16 May, 2017), available at https://platform.reorg-research.com/app#company/2364/intel/view/35433. 76 ‘Avaya PSA Executed by More Than Two-Thirds of 1L Debt’, Reorg Research (12 September, 2017), available at https://platform.reorg-research.com/app#company/2364/intel/view/41728. 77 Declaration of Scott Fenoglio, Senior Vice President and Finance and Planning and Principal Financial Officer of Bonanza Creek Energy, Inc, in support of First Day Pleadings, Case No. 17-10015 (KJC), ECF No. 16 at 5-8 (Bankr. D. Del January 2017). 80 ‘Bonanza Creek Achieves Plan Confirmation, Approval of Procedures for $200M Rights Offering; Debtors “Hope” to Launch Rights Offering “as Early as This Afternoon” ’, Reorg Research (7 April, 2017), available at https://platform.reorg-research.com/app#company/4126/intel/view/33349. 81 Declaration of Robert L Stillwell, vice president and chief financial officer of Memorial Production Partners GP LLC, in support of First Day Pleadings, Case No. 17-30262, ECF No. 17 at 4-13 (Bankr. S.D. Tex. 2017). 83 ‘Judge Isgur Confirms Memorial Production Amended Plan Featuring Increased Equityholder Recoveries’, Reorg Research (14 April, 2017), available at https://platform.reorg-research.com/app#company/4432/intel/view/33641. 84 ‘Memorial Production Partners Emerges from Chapter 11’, Reorg Research (4 May 2017), available at https://platform.reorg-research.com/app#company/4432/intel/view/34814. 85 Subsequently reduced to approximately 970 following the closing of 350 stores in July 2017. 86 Declaration of James A. Mesterharm, Chief Restructuring Officer of The Gymboree Corporation in support of First Day Motion, Case No. 17-32986 at 1–7, 15 ECF No. 30 (Bankr. E.D. Va. 12 June 2017). 89 Declaration of James A. Mesterharm, Chief Restructuring Officer of The Gymboree Corporation in support of First Day Motion, Case No. 17-32986 at 19, ECF No. 30 (Bankr. E.D. Va. 12 June 2017). 92 Declaration of Michael Schwindle, Chief Financial Officer of Payless ShoeSource Inc. in support of First Day Pleadings, Case No. 17-42267 (659) at 4-11, ECF No. 34 (Bankr. E.D. Mo. 5 April 2017). 94 Declaration of Michael Schwindle, Chief Financial Officer of Payless ShoeSource Inc in support of First Day Pleadings, Case No. 17-42267 (659) at 13-14, ECF No. 34 (Bankr. E.D. Mo. 5 April 2017). 95 Id. at 3, 18. 97 Fifth Amended Joint Plan of Reorganization, Payless ShoeSource Inc, Case No. 17-42267 (659) at 25, ECF No. 1507 (Bankr. E.D. Mo. 21 July 2017). 98 Debtor’s Brief in Support of Fifth Amended Joint Plan of Reorganization, Payless ShoeSource Inc., Case No. 17-42267 (659) at 3, ECF No. 1548 (Bankr. E.D. Mo. 21 July 2017). 99 Declaration of Todd M. Lenhart, Acting Chief Financial Officer of rue21, Inc. in support of First Day Motion, Case 17-22045 (GLT) at 3-5, ECF No. 8 (Bankr. W.D. Pa. 16 May 2017). 100 Voluntary petition, rue21, Inc., Case No. 17-22045 (GLT) at 4, ECF No. 1 (Bankr. W.D. Pa. 15 May 2017). 101 Declaration of Todd M. Lenhart, Acting Chief Financial Officer of rue21, Inc. in support of First Day Motion, Case 17-22045 (GLT) at 13-14, ECF No. 8 (Bankr. W.D. Pa. 16 May 2017). 103 Bankruptcy: Rue21 Files Reorg Plan; Disclosure Statement Hearing Set for July 10, LeveragedLoan (5 June 2017), available at www.leveragedloan.com/bankruptcy-rue21-files-reorg-plan-disclosure-statement-hearing-set-july-10/. 105 Toys ‘R’ Us ‘About Us’ (2017), available at https://m.toysrus.com/skava/static/customerservices.html?serviceType=aboutus. 106 Voluntary petition, Toys ‘R’ Us, Inc, Case No. 17-34666 (KLP), ECF No. 1 (Bankr. E.D. Va. 18 September 2017). 114 Declaration of Antonios Kandylidis Pursuant to 28 U.S.C. § 1746, Case No. 17-10736, ECF No. 5 at 5 (Bankr. S.D.N.Y. 27 March 2017). 115 See Verified Petition of Ocean Rig UDW Inc., et al. (In Provisional Liquidations) and Motion of the Joint Provisional Liquidators for (a) Recognition of the Cayman Proceedings as Foreign Main Proceedings or, in the Alternative, As Foreign Nonmain Proceedings and (b) Certain Related Relief, Case No. 17-10736, ECF No. 2 at 3 (Bankr. S.D.N.Y. 27 March 2017). 116 Memorandum Opinion Granting Recognition of Foreign Debtors’ Cayman Islands Proceedings as Foreign Main Proceedings, Case No. 17-10736 (Bankr. S.D.N.Y. 24 August 2017). 118 Id. at 6, 13–18. 123 The 2014 Bankruptcy Yearbook and Almanac (see footnote 57), at 16. 124 See Jon Hilsenrath, ‘Fed Keeps Rates Unchanged, Sees Eventual Rise in 2015, 2016’; see footnote 47. 125 ‘Market Cap of U.S. Coal Companies Continues to Fall’ (23 march 2016), available at http://ieefa.org/market-cap-u-s-coal-companies-continues-fall. 126 ‘E&P Bankruptcies Tapering Off in 2017’, Oil & Gas 360 (24 March 2017), available at https://www.oilandgas360.com/ep-bankruptcies-tapering-off-2017/. 127 Lynn Cook, ‘Despite Optimism, Oil Firms Keep Cutting Jobs,’ (22 July 2016), available at www.wsj.com/articles/despite-optimism-oil-firms-keep-cutting-jobs-1469209897. 128 At least one commentator has suggested that, in addition to the market forces driving the downturn, the mandatory 210 day limit on the time by which a debtor must assume or reject a commercial real estate lease under section 365(d)(4) of the Bankruptcy Code leaves retailer debtors with insufficient time to negotiate with their landlords and properly emerge from Chapter 11 as a standalone entity. 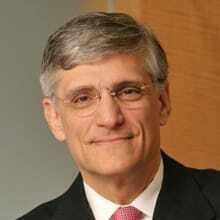 See Lawrence C. Gottlieb, ‘The Disappearance of Retail Reorganizations Under the Amended Section 365(d)(4)’ available at http://business-finance-restructuring.weil.com/wp-content/uploads/2013/06/Gottlieb-Paper.pdf. 129 ‘So far, 2016 is a boom year for retail bankruptcies,’ PYMNTS (5 May 2016), available at www.pymnts.com/news/risk-management/2016/chapter-11-retail-bankruptcy-debt-restructuring/. 131 J D Heyes, ‘Retail Tsunami of bankruptcies and closings now sweeping America,’ Natural News (24 April 2014), available at www.naturalnews.com/044840_retail_tsunami_bankruptcies_store_closings.html. 133 In re DBSD North America, Inc, 634 F.3d 79 (2d Cir. 2011). 134 In re ICL Holding Company, Inc, No. 14-2709 (3d Cir. 2015). 135 137 S. Ct. 973, 986 (2017).